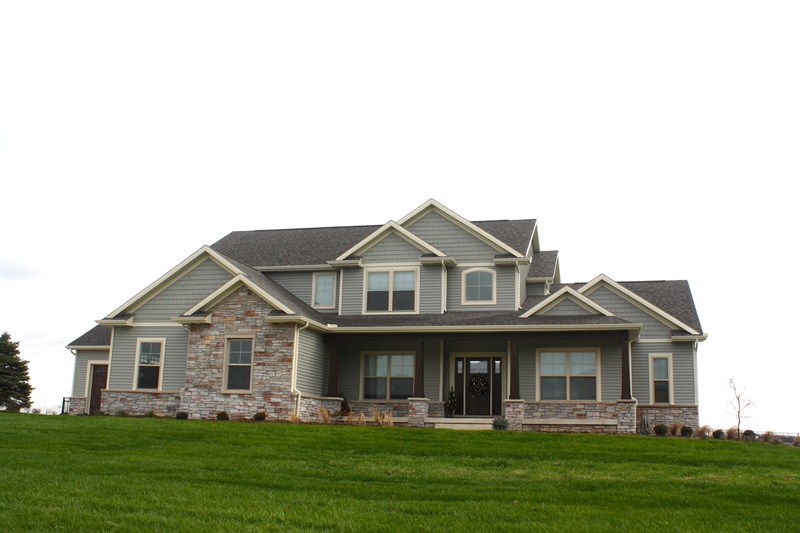 Home Maintenance – Carlson Exteriors Inc.
Hastings Home after the Chestnut brown siding was installed. Our crew also replaced 7 windows. “If it’s not broke, don’t fix it.” This was a motto I heard growing up on the farm. As I got older, I realized this was many families’ motto too. Generally speaking, most of us still operate with this philosophy when it comes to large purchases. If our current siding is not broken, falling down, and in working condition why should I replace? Or when should I replace? Cedar Siding seems to be the easiest to decide when it’s on it’s last leg. The cedar siding has rotted dramatically, wood peckers have bored holes all over, or you’ve just grown tired of all the maintenance that goes into cedar siding. All of these are valid reasons to replace wooden siding. But what about vinyl? Vinyl can stay intact for many years and require little to no maintenance to keep it looking great! Extremely Faded Siding – Twenty years ago, vinyl siding was not as advanced in preserving color like it is now. Most sidings are rated to preserve color for as long as the panel is viable. Once the color is completely bleached out, your siding may also be extremely weak and brittle. It might not weather heavy storms and high winds like it did in it’s prime. The faded siding might also make your home look less appealing. If you plan on selling your home in the near future, contemplate replacing your siding. A good-looking home and bring in more prospective buyers. On the other hand, if you plan on staying in your home years to come, replace that siding for yourself! You want to love your home and nothing beats that more than pulling into a driveway of a home you’re proud to call yours. Fungus, Mold, and Algae on Your Siding – Vinyl siding is extremely low maintenance but occaisionally it needs a little powerwashing to clean off the dirt and debris build up. If this has been ignored for many years, fungus and algae can grow on the surface of your siding panels. While powerwashing can help lessen the mold it won’t always get rid of it. The failsafe way to get rid of the algae is to just replace your siding and start from scratch. If Your Home Doesn’t Have Housewrap – Requiring a moisture barrier underneath the siding was only put into effect in the recent years. If your home was built before the 2000’s it may not have housewrap on it. Housewrap or a spray applied moisture barrier (like Enviro Dri) is crucial at keeping your home free from leaks and rot. In theory, your current siding can be re-used; but depending on how brittle your siding is it may break as it’s removed . It’s not a bad idea to change up your siding look, especially if you are tired of it, when you have housewrap installed. Your Siding Has Been Discontinued – If your siding has been discontinued it can be difficult or impossible to find replacement panels for repairs. You may find yourself going with a similar color in another brand’s siding for small repairs but over time you quickly find yourself living in a mix-matched home. Any warranty claims are extremely difficult to gain traction. If the mother company of your siding is still around, you might get some response but it won’t be as much as you’d hoped or as much as you would be entitled for a non-discontinued line. This lovely ranch home was re-sided with James Hardie Fiber Cement siding in custom colors. You Hate The Color Or Style – Yes, you hate it. So forget the “If it’s not broke don’t fix it” motto. You should love your home. Your house should be a reflection of you and if the color or style isn’t you, replace it! You are allowed to change things up when you want to. When Should You Replace Your Gutters? Gutters aren’t a big item most homeowners keep an eye on. If gutters are mostly doing their job, homeowners usually ignore them. So how to you know if your gutters need replaced or just repaired? Below are a few situations where your gutters should be replaced. After a roof replacement – The best rule of thumb is to replace your gutters right after your roof has been replaced. When your old gutters are removed all the seals are broken. It’s hard to reseal old gutters once that’s been broken. If you keep up with the pattern of replacing your gutters everytime your roof has been replaced, you should not have any problems with your gutters. Large Quantity of Rust Spots or Holes – Sometimes this can be repaired by sealant or a new section of gutters. But if rust or holes are consistent on every run of gutter, replacing your gutters will be better a choice to spend money on. Sagging gutters are caused from improper pitch on gutters. Sagging or Bowed Out Gutters – Sagging and bowing is caused by improperly pitched gutters. Water begins to pool and be held at sections of gutters; without being able to drain out the gutter sags at the weight of water over time. Once a couple sections are sagging, it’s best just to replace your gutters and make sure all runs have proper pitch to allow for drainage. Flooded Basement – What a nightmare! And an expensive nightmare if you have a furnished basement. If your gutters are old and just aren’t making the cut your basement can flood. When your gutters aren’t channeling water away from your home’s perimeter, all that water seeps into your basement. Over time this can cause foundation damages too! Wrong Size Gutters – This can be hard for the average homeowner to decipher, but any contractor should be able to stop by (at no charge) to verify if your home has the proper sized gutters. Most homes come with the standard 5” gutter; however, if your home has a really steep pitch the water flow can amplify and overwhelm the 5” gutter system. Click here to visit our other article on 5” vs 6” Gutters. Posted in Gutter, Home MaintenanceTagged 5" gutters, 6" gutters, gutters, replace gutters, when should i replace my gutters? Shur FloX is a hassle-free leaf protection. It’s an all aluminum protection system so you don’t have to worry about it warping or deteriorating over time. Tiny holes that pierce the leaf protection allow water or any small debris (that won’t clog) to run down the gutter and out the spout. The ridges promote air flow – allowing dry debris to blow right off. Did you know that so many leaf protection systems actually void your roof warranty? Shur FloX really shines because it doesn’t tamper with your shingles. This is why Carlson Exteriors chooses to use Shur Flox and no other brand. Most gutter guard brands will advertise the wonders of their product and will not mention how their product impacts other products already on your home. Asking how a leaf protection will affect your roof warranty is not a question homeowners think to ask – nor should it be! That’s why you’ve hired an expert to help you. Having a gutter leaf guard that needs to be secured under your shingle will void any roof warranty. If you look at the images below, you will see that Shur FloX only attaches to the gutter and will not interfere with your shingles. Shur FloX only attaches to the gutter – not the roof. Rogue : a deceitful and unreliable scoundrel. Every winter is bound to have a couple days to a couple weeks of below zero weather. When temperatures start to rise, homeowners start to notice brown spots on their ceiling that resemble roof leaks. This could be a sign of a roof leak; it could also be a sign that the home’s humidity was too high during the cold temperatures- causing attic condensation to freeze. Many homes have humidifiers on their furnaces. Almost all new homes have this or homes with real wood floors. It’s a great thing to have, but homeowners need to be mindful of appropriate humidity levels. If the humidity is set higher than it should be during negative temperatures, the moisture rises up to the attic and before it can escape, it hits the bottom of the snow covered roof and freezes. Sometimes icicles even form off the nails! Once the weather warms up and one of the first things to thaw is attic condensation. Depending on high the humidity has been set on your house, this can be a decent amount of moisture coming down – thus causing brown spots on ceilings. It looks identical to spots from roof leaks. Tea staining or brown spots can form on your ceiling as frozen attic condensation melts during winter months. What is the appropriate level of humidity for your home? 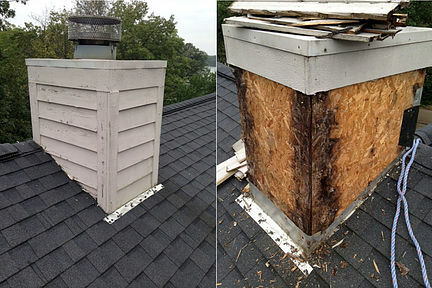 This will prevent attic condensation, mold, or any other issues caused by overly humid and warm air. It’s so easy to forget to monitor or change your humidity. Many people don’t even realize this is what’s going on until it’s too late – brown spots appear! If this happens to you, don’t panic but it’s still good practice to have a trusted roofer inspect to confirm no roof leaks. As the snow and ice melt off your roof, it’s a good time to see if your roof sustained any stress or damage from the winter. Brown Spotting or Tea Staining on your ceiling. This is the easiest way for you to catch a small leak early. The spot might not drip or be wet to the touch but it’s a sign of a leak and will be worth having check out. If you know the leak has been fixed and want to get rid of the stain, use a stain-blocking primer like Kilz or Bullseye first then use your regular ceiling paint. Without the stain blocker primer the brown spot will come through the ceiling paint, even if the leak has been fixed. Missing Shingles. If you can see your roof in it’s entirety you will still know if you are missing shingles by finding pieces in your yard. Shingles lose adhesive strength as it ages. Drastic temperature changes are hard on the shingle bonding strip. After this is weakened, wind easily blows off your shingles leaving you exposed. Curled or Cracked shingles. Over time asphalt shingles dry out and become brittle and fragile. Frail shingles are no defense against environmental dangers (like hail) and need attention sooner rather than later. It’s easier to see curled shingles from the ground – the edges are often described as looking like a potato chip. Cracked shingles may only be visible while standing on the roof. Cracked or Damaged Pipe Flashing. Pipe flashing wear out quicker than the rest of your roof. It’s an easy fix in terms of roof repairs but may be harder for the average homeowner to see. The only way to inspect pipe flashing conditions is from being on the roof. Often it’s just best to call a local contractor that you trust to come over and inspect! You might want to check out our short video by Project Manager Nick Coyle on why your 30-year shingle won’t last 30 years. Uncontrolled water is the biggest threat to homeowners. It’s a slow and silent killer. Here are the most common issues we see on homes. Without a kick-out flashing, water is free to run down your siding and can creep behind your house wrap. Once you remove the house wrap you can see all the damage that the un-controlled water did behind the house wrap. No Downspout Extensions. Often times homeowners remove these extensions out of aggravation. These extensions might seem like a trip hazard, a pain to mow around, or get trampled easily. – but don’t get rid of them! Your home and your foundation need these extensions to route water away from you home. You can add hinges to these extensions to eliminate all the hassle they cause. Click here to read more about downspout hinges. Inadequate or No House Wrap. Depending on when your home was built and the history of your city’s building codes, your home might not have any house wrap or moisture barrier. For example, the City of Bloomington, IL did not start requiring any form of house wrap until the late 70’s. Practically all houses built before the early 70’s (in Bloomington, IL) are without house wrap. Siding, bricks, shakes or any other exterior cladding are not intended to protect your home from water intrusion. If your home does have house wrap, it might be done incorrectly: applied in small pieces, too many mechanical fasteners, or taped incorrectly. There are alternative moisture barriers to house wrap at similar expenses- Read about EnviroDri. Bad Pipe Flashings. Pipe flashing have a shorter lifespan than your roof and will need replaced a few times before you need a new roof. It’s a simple fix but if the flashing is cut too large, water will still get in. Watch Nick Coyle replace a pipe flashing. 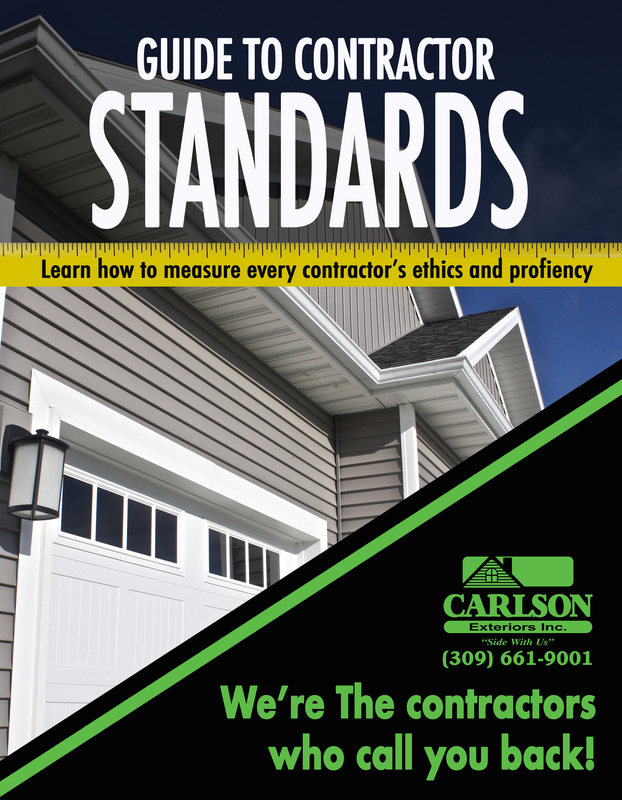 If you are unsure about any of these, call a local, trustworthy contractor to give you a free inspection.